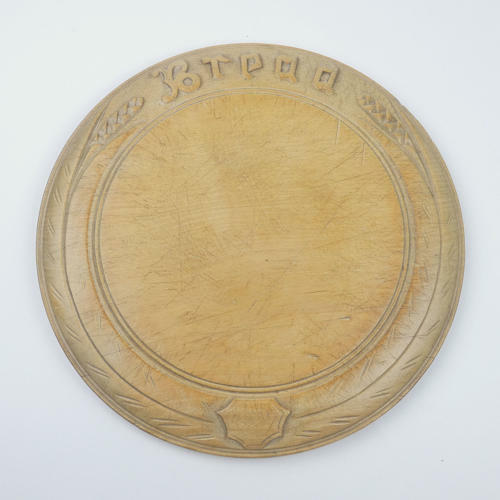 A Victorian, beechwood breadboard, the border carved with the word 'Bread', long, stylised leaves, wheat and a shield shape. The carving is fairly simple but it is still in very good condition, with minimal wear. There is some scratching to the centre of the board which is consistent with use. Generally the piece is in very good condition and the wood has quite a rich patina. It dates from c.1880.